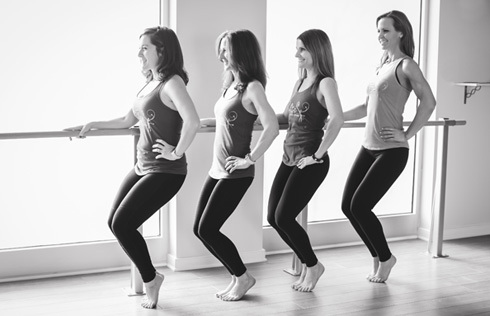 Barre is a low impact, high intensity workout that incorporates movements from Pilates, Yoga, and ballet. This technique uses small movements with high repetition to sculpt long, lean muscles. You do not need to have dance experience. Our instructors are trained to teach proper form and technique and assist clients of all exercise levels. Classes are low-impact but move quickly to give you a workout like no other! We are also offering yoga classes now! It is a vinyasa flow style class that will build strength and flexibility while aligning movement with breath. Exercise your mind, body, and spirit! In this class you will improve flexibility, balance, and core strength. Beginner to intermediate level with options for more advanced participants.